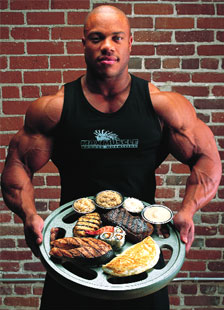 Every bodybuilder loves their food. They have to, eating is half the job. In bodybuilding, you lay the groundwork in the gym, then you feed your body the building materials it needs to make you grow. But what foods are the best? There are no secret, super muscle building foods out there that most people don’t already know about. This list isn’t going to read like some pseudo-science rich, alchemy class. The best foods are probably flying around in your mind as you’re reading this. However, you may find some items on this list you don’t immediately associate with muscle mass. But do you know why they are so good? Eggs are one of the most versatile, complete, and readily absorbed, protein-rich foods on the planet. An average egg contains around 6 grams of protein. The white is totally fat-free while the yolk contains around 5 grams of fat. Most of this fat is unsaturated, with only 1-1.5 grams of saturated fat per yolk. This fat contains a fairly high level of cholesterol. Therefore, people were previously warned against consuming too many yolks. However, more up to date scientific evidence shows high blood cholesterol has almost nothing to do with the food you eat. It is a genetic disorder, and the liver will simply over-produce cholesterol. Cholesterol is the basis for steroid hormones, such as testosterone. That said, if you’re going to eat 6, 8, or more eggs at one sitting, that is a lot of fat. A good ratio, in this case, would be to eat roughly one-third of the yolks. As well as being a great source of high-quality protein, eggs also supply many vitamins and minerals, especially vitamins A, E, and K, as well as B vitamins, zinc, iron, and calcium. Obviously the best way to prepare your eggs is …. well, any other way but frying them really. It’s always handy to keep a bowl of boiled eggs in the fridge in their shells to snack on. Another myth is that raw eggs are bad for you. Sure, there is a risk of salmonella, but if you eat good, fresh eggs, the risk of becoming ill is slim to none, and raw eggs contain protein digesting enzymes that are lost in cooking. Whole grains are a must. Sure, they may not be a high protein food, but they contain far more nutrients than processed grains. They provide sustained energy levels and better overall health. Brown rice, which is the whole grain version of rice, boosts growth hormone levels. Add in Sheer Strength Testosterone Boosters for the complete anabolic package. But what does whole grain mean? Whole grain means exactly that, it contains all of the grain. Processed grain, such as white flour, has virtually all of the goodness stripped out of it, leaving a product that barely resembles the original crop. Whole grain flour simply has the inedible husk removed before it is ground, leaving the fiber, vitamins and minerals intact. In fact, whole grain bread also contains around 5 grams of good quality protein per slice. Other great whole grain foods to look out for include quinoa, bulgur, and barley. These also pack a good protein punch. Oats are a whole grain that deserves a special mention on their own. 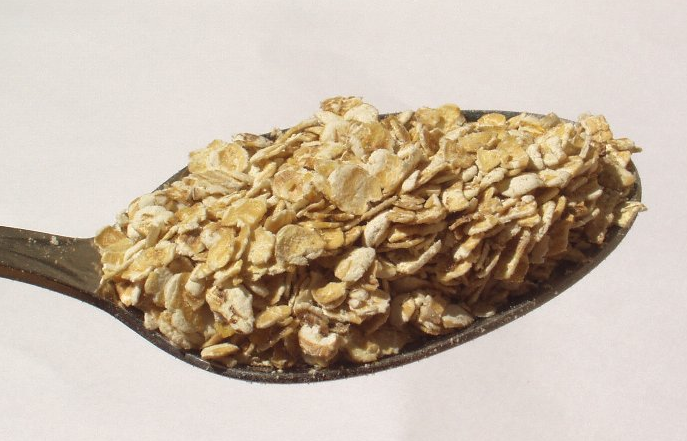 Whole oats are insanely good for your health. They contain loads of soluble fiber, which is great for lowering blood levels of harmful fats, and keeping your heart and circulatory system healthy. Not only is a big bowl of porridge great for your heart, but it keeps you full longer, providing sustained release energy. It also contains a host of muscle building vitamins and minerals, and add that to 12 grams of protein per cup. When combined with milk, chopped nuts, and seeds for your breakfast, you have a protein, energy, and vitamin-rich start to your day. Oily fish provide an excellent source of protein, as well as healthy, muscle building fat. In bodybuilding, fats are all too often written off as bad. This is a grave mistake. Healthy fats, such as Omega 3 fatty acids found in oily fish, avocados, and olive oil, lower the levels of bad fats in the bloodstream. Omega 3’s can also boost metabolism, promote brain health, and provide energy. Oily fish is also high in nutrients, and vitamins A and D. The best fish sources of these Omega 3’s come from salmon, mackerel, herring, trout, and tuna (not canned). Whey protein is the king of protein supplements. It is relatively cheap to buy, works out to be the cheapest source of protein per gram, and makes a high-quality protein source readily available to your body. Whey is ideal for pre-workout, where adding in high-quality supplements, like Sheer Strength Nitric Oxide Boosters, and Sheer Strength Pre-Workout Powder, can really up your game. Also, whey is ideal during your post-workout to feed tired muscles. It’s as simple as that really for whey protein. It just had to be on the list. Nuts are jammed with cholesterol lowering healthful, unsaturated fats, like Omega 3’s (see explanation in oily fish section). Nuts contain high levels of plant sterols, which are also great for lowering cholesterol and other bad fats. Nuts are high in protein, vitamin E, and minerals such as calcium, iron, and potassium. The complex nature and high-fat content of nuts give them a low GI, meaning they are a great, hunger-destroying snack with a protein punch. Almonds, pistachios, cashews, and walnuts are the best for a bodybuilding diet. Seeds are also high in Omega 3’s, vitamins, minerals, and fiber. They are perfect for eating as a snack or sprinkling on foods such as porridge or a salad. You should grind many of the hard small seeds before eating since their hard shells aren’t digestible. Beef needs no introduction. Put simply, lean beef is jammed with extremely high-quality protein. Eight ounces of good steak contains around 60 grams of protein, which is the amount you should be aiming for from your main meals. The profile of beef protein is similar to human muscles, making beef just about the perfect protein source for growth. The slower beef is cooked, the more tender and easily digestible it will be. For this reason, consider making a tasty, slow-cooked Bolognese, using minced steak. Red meat has been linked to heart disease, due to the saturated fat content. But if you stick to the lean cuts, daily consumption remains a reasonable choice. In fact, the fats contained in red meat will naturally boost your testosterone levels. 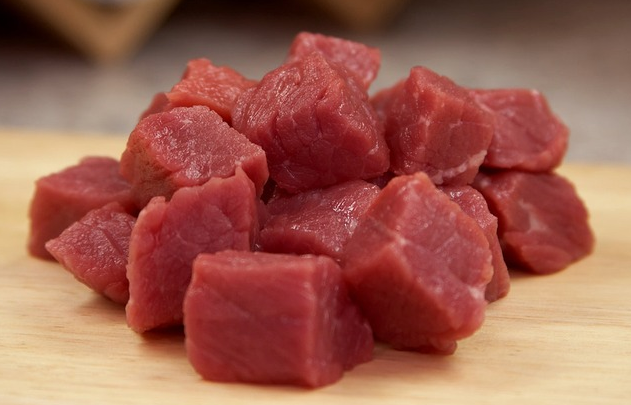 Beef is also one of the few foods that contain natural creatine. Add in Sheer Strength Creatine supplements to really amp up your strength endurance. Here is another protein rich food that needs no introduction. Poultry, particularly chicken and turkey, contains almost as much protein per gram as beef but is leaner. The protein in poultry is also of high quality and readily used by the body for building muscle. That’s it really. Every bodybuilder should have grilled and roasted chicken and turkey in their diet. Of course, everybody knows of a certain famous takeaway chicken chain that make for great cheat meals as well. Dairy products are another staple of the bodybuilder diet. We begin life drinking milk, it is the most complete food on the planet, and it’s made by nature purely for gains. The nutritional breakdown of milk reads like the A-Z of vitamins and minerals. Of course, whole milk is higher in saturated fat, but that fat contains much of the milk’s yield of fat-soluble vitamins A and D. It could be argued that both full fat and skimmed milk have their places in the muscle building diet. Skimmed milk has slightly more protein, and the protein is absorbed faster without the fat slowing its progress. That means skimmed milk works best for post workouts, along with Sheer Strength Creatine supplementation. Whole milk is better suited for breakfasts. Live, low-fat yogurt is an excellent bodybuilding food. The live cultures are excellent for gut health, including enhancing the breakdown and absorption of proteins. A good, low-fat yogurt contains around 1% fat or less, and as it is partially digested already, is rapidly absorbed. The protein content of yogurt is around 25 grams per pint. 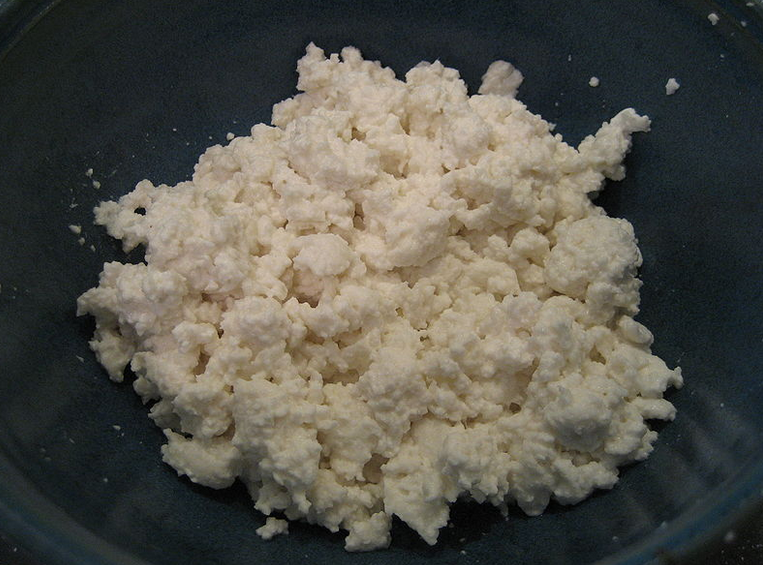 Another highly useful dairy product for muscle gain is cottage cheese, which contains very little fat, and a huge amount of protein. Virtually all of this protein is in the form of casein, which is the slow release protein in milk. Many people consume this casein late at night, as it provides the body with slow release protein while you sleep. Let’s finish this list with a quick word on fruit and vegetables. Fruit and vegetables are the main sources of vitamins and minerals in the human diet. Your body needs these nutrients for proper functioning on every level, from digestion to hormones. People who train hard need much higher amounts of these vitamins and minerals, and they are essential for the cleansing and repair of damaged muscle through their antioxidant properties. Every meat eating bodybuilder should have these 10 foodstuffs in their diet. Supplementing your intake with high-grade sports supplements is also a must nowadays if you’re looking for that competitive edge. The Sheer Strength Labs range is perfect, from Sheer Strength BCAA’s to Sheer Strength Thermogenic Fat Burners, they can optimize your diet. The post 10 Best Muscle Building Foods appeared first on .